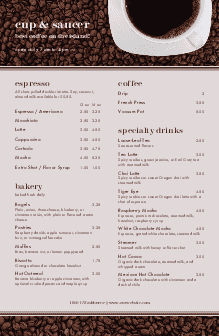 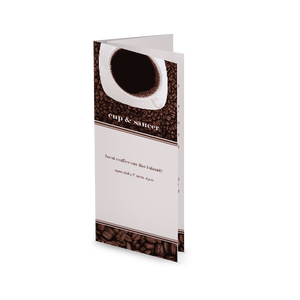 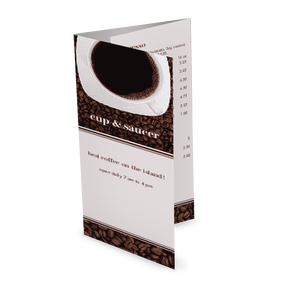 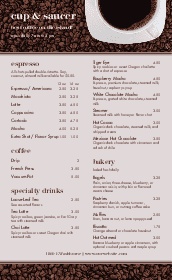 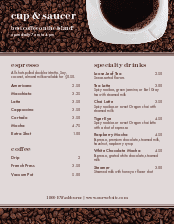 Espresso beans border the top and bottom of this American Cafe menu in rich brown tones. 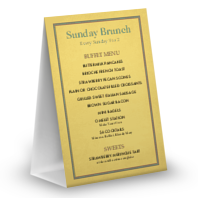 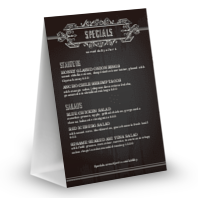 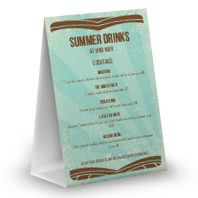 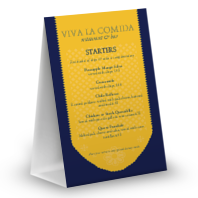 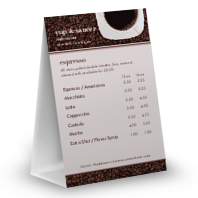 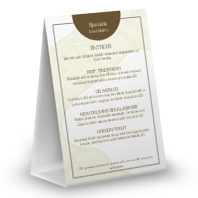 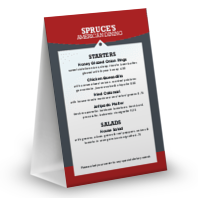 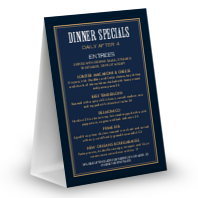 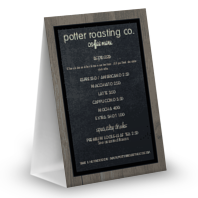 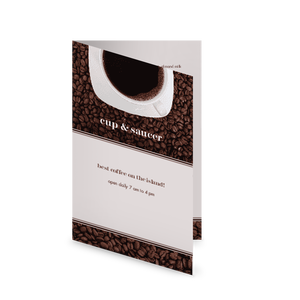 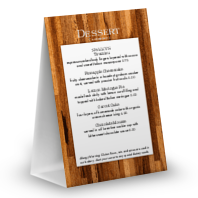 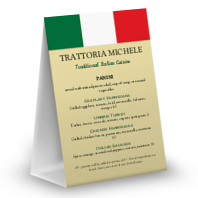 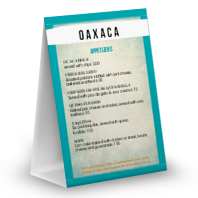 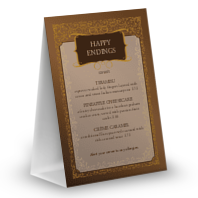 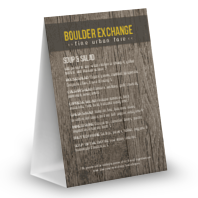 This tabletop menu is ideal for promoting seasonal events, drink specials, desserts, or other upsell items on your tables. 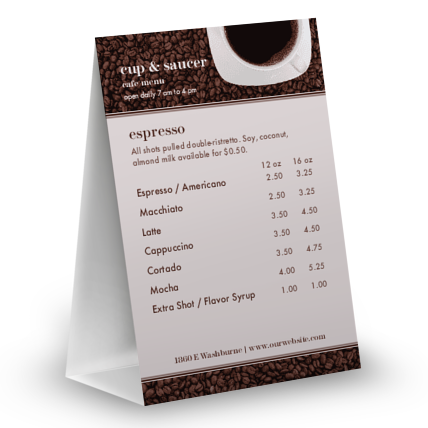 Customize this template with our easy-to-use Menu Maker.